You cannot make pizza without having a place to bake it. 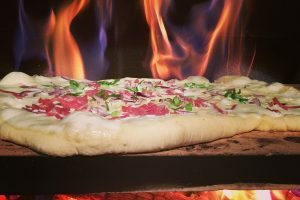 The oven on your kitchen will bake your pizza, and that pizza may taste great, but there is no better taste than a pizza baked in a professional pizza oven. The great news is that you can now have a professional pizza over in your own home. 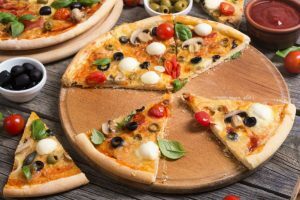 They have never been more affordable, and the improvements in technology mean that you are able to recreate the taste from high-class pizza restaurants. Let’s take a look at three pizza oven reviews. This pizza oven looks great. Can you imagine having this sitting in your yard or porch and cooking pizza in it? 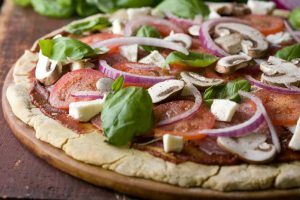 Your friends and family are going to be extremely jealous, but they are also going to keep coming back time and time again for your delicious tasting pizza. The oven transforms from an 18.5” oven to a 22.5” oven. You can create almost any size of pizza in this oven. There is also an opening in the front where you can load and retrieve your pizza. The absence of a lid means that the heat is not lost when it is opened. A consistent heat means a better-baked pizza. You can use charcoal or hardwood with this pizza oven. 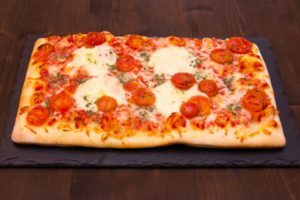 Both materials are going to give you an authentic-tasting pizza, and one which will taste subtly different, depending on which material you use. The oven is also made in the US. Made from 20-gauge steel, this pizza oven is going to last you. It is also extremely easy to use. Simply add your fuel, start the fire, and watch the thermometer for the perfect baking temperature. This pizza oven burns extremely hot. This is perfect for making thin-crust Italian pizza. You want to bake your pizza at an extremely high heat for a short period of time to get that crispy crust, and this pizza oven will do that for you. The great part is that it only takes the oven five minutes to heat. 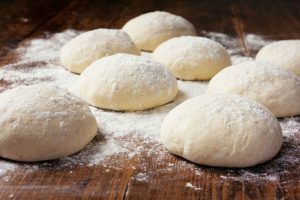 While you are sprinkling the toppings on your pizza dough, your oven will be getting up to temperature. 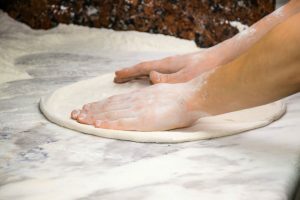 You have a 13.5” cooking area, which means that you cannot bake pizzas larger than this size, but it also means that the footprint of the pizza oven is kept small. 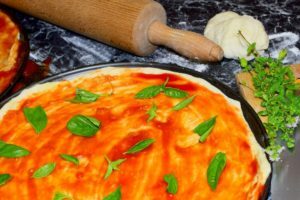 If you are making traditional pizzas, then this small size is fine as you will be cooking your pizza in minutes, and creating multiple traditional pizzas in a short period of time. There is also a pizza stone and a cast-iron skillet which you can use to further improve your pizza-making skills. With so much melted cheese, it is amazing how easy this pizza oven is to clean. 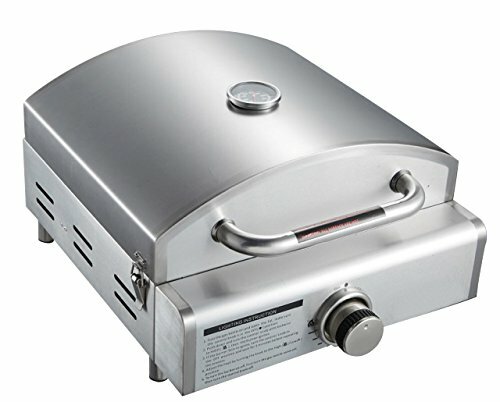 With a unique easy-clean method, it will only take you a minute or two to clean up this pizza oven after use and prevent any contamination of your next pizzas. This unit is also portable. Use it in your own kitchen or take it to a friend’s house to use. If you can find a power source outside, then you can have freshly baked pizza wherever you like. 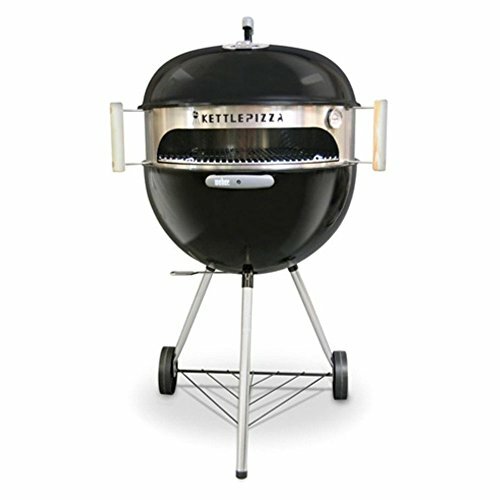 This is a unique pizza oven as it does not generate its own heat to bake your pizza, but instead makes use of a gas grill to turn a stone box into a pizza oven. You can turn almost any grill into a pizza oven, and your barbecue too. Simply place the pizza box on top of a direct heat source (as even a heat source as possible) and wait for the stone box to heat up, creating an oven-like environment. 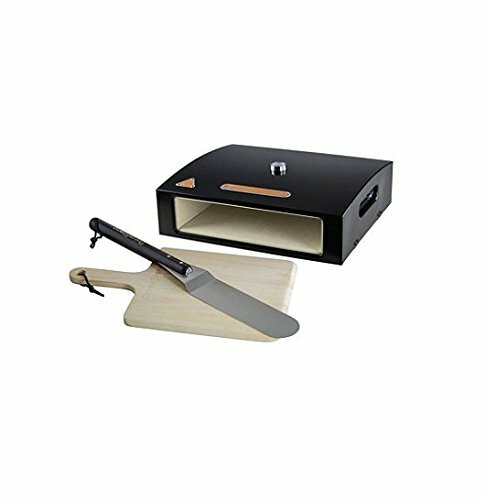 When the box is hot enough, you can place your pizza inside and bake it like you would with a traditional pizza oven. The lack of an included power source makes this extremely easy to use. It also makes it one of the most durable pizza ovens on the market. There is not much which can go wrong with this pizza oven. It is a stone box and is extremely durable. This pizza oven will transform heat of up to 450° F into 750° F. It also does more than just bake pizza. You can bake bread and cookies in this oven, along with being able to roast meat, fish, and vegetables. 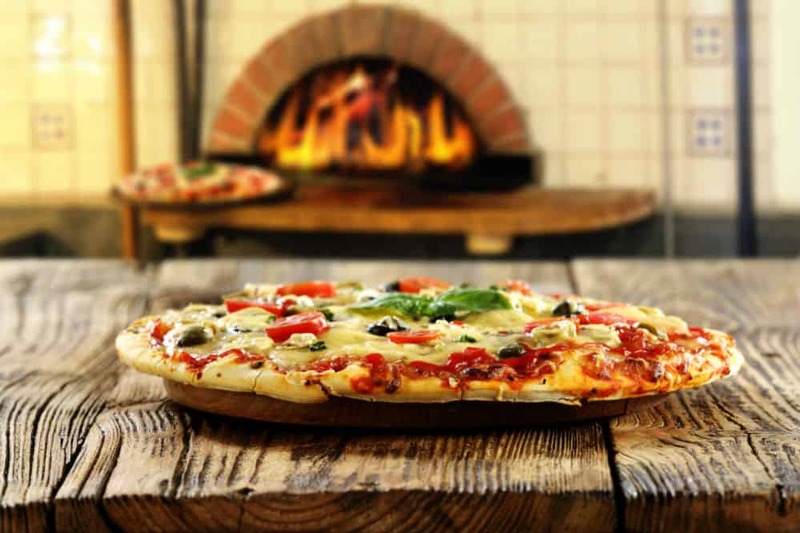 There are many pizza ovens on the market, and the variety is astounding. 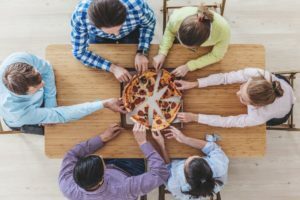 When it comes down to choosing the best pizza oven, there are many factors to consider, and one of the most important is how well the pizza oven bakes pizza. With this factor in mind, we have to recommend the Mont Alpi Pizza Oven. It bakes pizzas at such a high heat that you get a traditional tasting pizza without having to go to a fancy restaurant (or Italy). The Mont Alpi Oven is portable. This is one of the key features for us. You will most often be baking pizza in your own home, but having the option to take this pizza oven with you is great. The size of the oven also means that taking it with you is easy. The only negative we could find with this oven is the baking area. 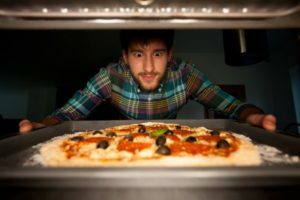 As the oven is small and portable, there is only enough space to make small pizzas, but this is a small price to pay for the portability of the oven. When you are making pizzas at such a fast pace, the size does not matter. We also found that the small pizzas had a crispier base and a richer taste. This is a great pizza oven for your home.